Played at the Newport Beach Country Club in California, the Toshiba Classic was founded in 1995 as the Toshiba Senior Classic. 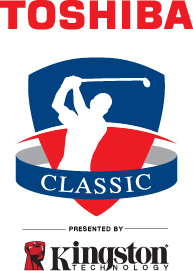 The longest playoff in the history of the Champions Tour occurred at the 1997 Toshiba Senior Classic when Bob Murphy defeated Jay Sigel on the ninth hole. The record was broken the following year at the Royal Caribbean Classic. There have been four playoffs in the 19-year history of the event, and all of them have gone at least five extra holes. Five players won their first Champions Tour titles at the Toshiba Classic—Gary McCord (1999), Jose Maria Canizares (2001), Rodger Davis (2003), Mark Johnson (2005), Brad Bryant (2006).